For Immediate Release: February 11, 2019: Sakamoto Agency is kicking off 2019 with the growth of the roster and staff, as well as this robust new website to bring everything we do right to your fingertips. With these advancements, our agency is poised to provide more styles of entertainment and music to buyers, plus a wider reach for our artists. The new website allows the user to submit a performance offer for any artist directly to the agent, and integrates ‘always current’ artist assets and information through the power of Muzooka. The virtual storefront to our business, visit us often for the latest news and artist updates on this brand new blog, to book an artist, or learn about our commitment to the utmost in service. Sakamoto Agency is also pleased to welcome European Coordinator Franck Boucheraud to the team. Known in the Canadian country scene as a Talent Buyer for the American Tours Festival/Canadian Music Night at the festival in Tours, France since 2008, Franck Boucheraud is a buyer and agent whose efforts in assisting the aims of Canadian country musicians in an international setting is award winning. 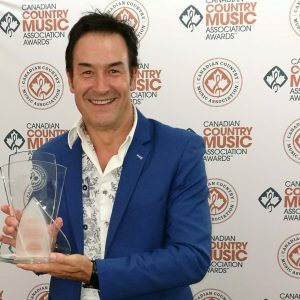 He took home the 2017 Leonard T Rambeau Award at the Canadian Country Music Awards, and in July 2018, received an honour from the Mayor of Tours, France, for the continued success of the Canadian Music Night. Sakamoto Agency looks forward to working with Franck to help expand markets for Canadian artists to new horizons. Saving the best news for last, Sakamoto Agency is excited to announce the exclusives signings of world-renowned vocal impressionist Andre-Philippe Gagnon, eastern Canada’s Country sensation Jason Benoit, and a salute to the life of Merle Haggard called The Story of the Hag, featuring JUNO nominated artist Jess Lee (produced by GNR Entertainment), to the international roster. No longer limited to country music, Sakamoto is working to provide entertainment and talent of the highest calibre, with the aim to create a joyful experience for audiences everywhere. Andre Philippe Gagnon is the number one singing impressionist in the world today. Known as “the man of a thousand voices”, he has played to sold-out audiences around the world for over three decades, since his big break on The Tonight Show with Johnny Carson, through touring with Celine Dion, and a decade-long residency at the Casino Venetian in Las Vegas among many other shows. Now he’s back with a musical journey through the soundtrack of our lives from the 50’s to today called, “The History of Rock and Roll”. Combining music, comedy, and multimedia, Gagnon borrows voices from all eras to create an incredibly entertaining musical history of the last six decades. Jason Benoit is a small town singer/songwriter from Fox Island River, Newfoundland, who knows what country music is all about. 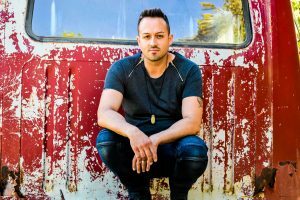 With a gold single and 4 top 30 hits under his belt, Jason’s newest single “Slow Hand”, produced by CCMA Record Producer of the Year winner Jeff Dalziel, reached #1 Most Active Indie and # 3 Most Downloaded upon it’s first week of release, and an EP is scheduled for release in spring of 2019. Just getting started, Benoit has performed at Boots N’ Hearts, Cavendish Beach Music Festival, Rock the Park Music Festival and Trackside Music Festival, and will be on the road across Canada this summer. In 2017 Sakamoto Agency signed The Legend of George Jones featuring Duane Steele to the roster, which proved a hit with audiences across Canada. 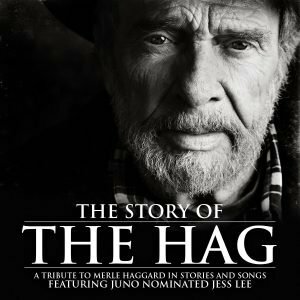 The Story of the Hag featuring Jess Lee is a continuation of the same multimedia theme, dedicated to another of the greatest artists in country music; Merle Haggard. JUNO-nominated singer and BCCMA Hall of Fame Artist Jess Lee effortlessly emulates the rich baritone of Merle Haggard, taking the audience on a journey of The Hag’s incredible life and career, through stories, songs and visuals. From poverty and prison to international fame, and 40 No. 1 hits including ”Working Man Blues”, “Mama Tried”, and “Okie From Muskogee”, The Story of the Hag is a detailed and delightful portrait of one of country music’s best. Press requests may be directed to Joelle May at joelle@sakamotoagency.com.